Over the years, thousands of tools have been developed for debugging TCP/IP networks. They range from very specialized tools that do one particular task, to generalized suites that do just about everything except replace bad Ethernet cables. Even better, many of them are absolutely free. There’s only one problem: who has time to track them all down, sort through them for the best ones for a particular purpose, or figure out how to use them? Network Troubleshooting Tools does the work for you—by describing the best of the freely available tools for debugging and troubleshooting. You can start with a lesser-known version of ping that diagnoses connectivity problems, or take on a much more comprehensive program like MRTG for graphing traffic through network interfaces. There’s tkined for mapping and automatically monitoring networks, and Ethereal for capturing packets and debugging low-level problems. 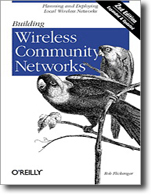 This book isn’t just about the tools available for troubleshooting common network problems. 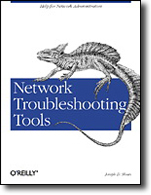 It also outlines a systematic approach to network troubleshooting: how to document your network so you know how it behaves under normal conditions, and how to think about problems when they arise, so you can solve them more effectively. 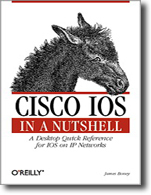 If you’re involved with network operations, this book will save you time, money, and needless experimentation.